Separate fish fillets. Place one fillet in the center of each square of aluminum foil. In a bowl, mix frozen vegetables and diced onion. Spoon vegetables around fish, dividing equally. 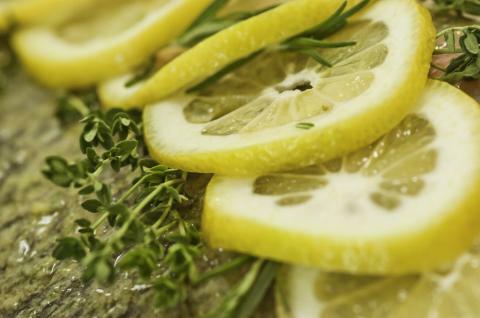 Sprinkle fish and vegetables with lemon juice (or top with lemon slice) and parsley. Fold ends of aluminum foil together to seal. Bake 10 minutes for fresh fish or 30 minutes for frozen. Serve.